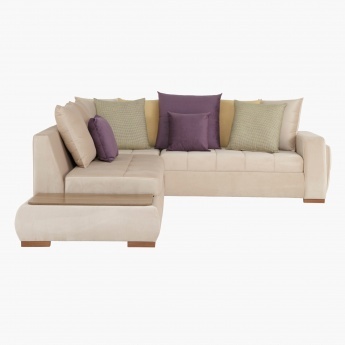 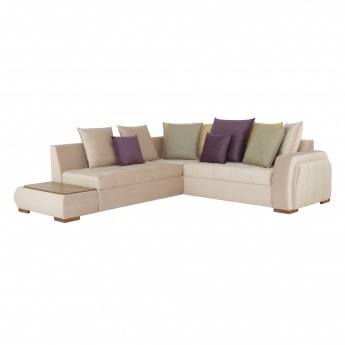 Comfortable and cosy, this attractive sofa will add charm to your home and keep you comfortable. 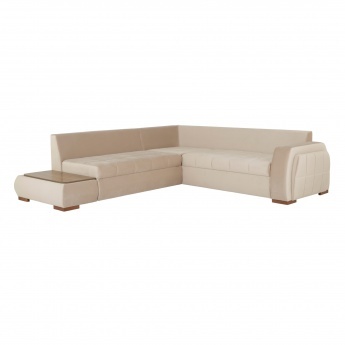 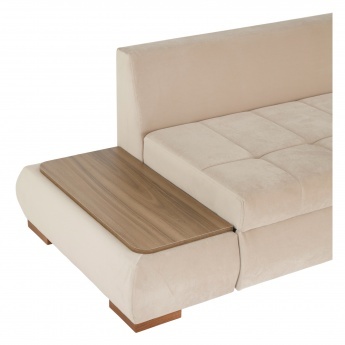 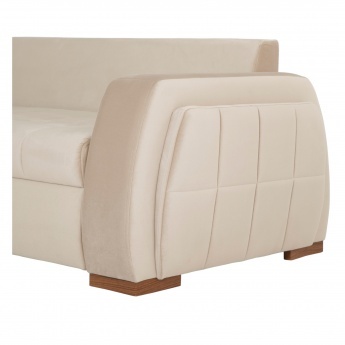 Sporting a left design, this sofa has a wooden frame to lend it strength. 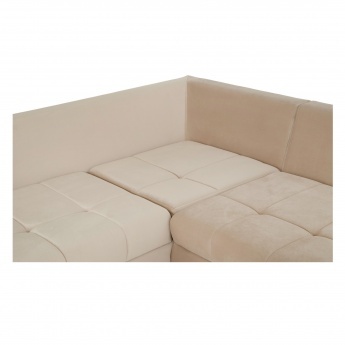 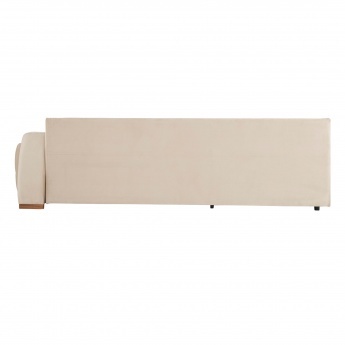 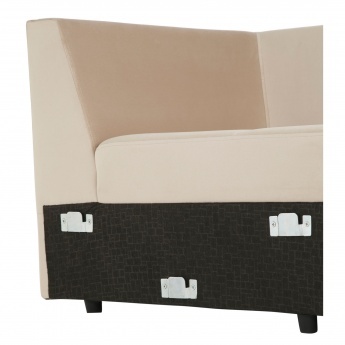 The high resilient foam-filled fabric is upholstered for the perfect finish. 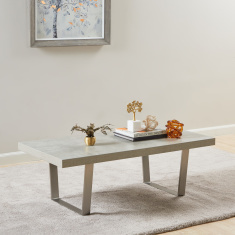 The wooden side table attached acts as a glass, plate or cup table for convenience. The sofa comes with 3 small scatter cushions.